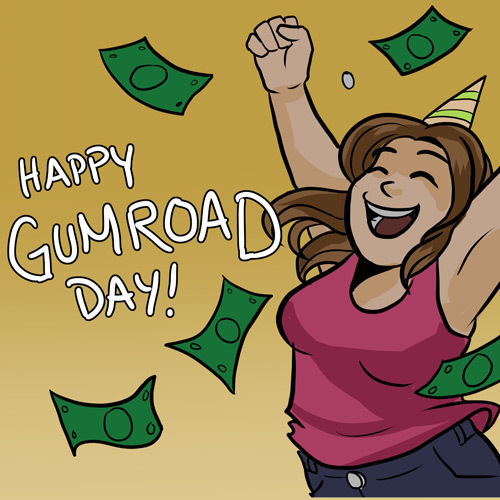 For Gumroad's birthday, they're removing all processing fees for 24 hours today (April 4th)! 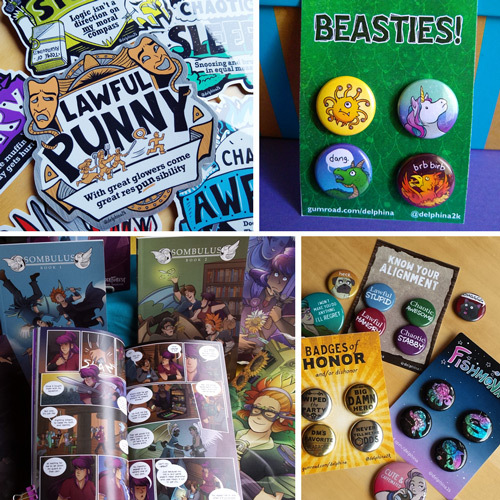 So that means buying stickers or comics or buttons from my shop today gets me a little more money than it usually would! Nice! Please check it out today!